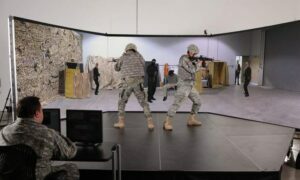 VirTra provides a realistic and effective use of firearms and training simulators for the military industry. Its portfolio of force simulators range from portable single-screen systems to immersive firearms training simulators, the V-300™ and the V-ST PRO™. The V-300™ is the higher standard for decision-making simulation firearms training. It includes five screens and a 300° immersive training environment that translates time with the simulator to develop real world survival skills. The system can be reconfigured to support 15 lanes of individual firing lanes. The V-ST PRO™ is a scalable firearm shooting and skills training simulator, which offers a superior training environment. The system supports a combination of marksmanship and force training on up to five screens from a single operator station. The V-100™ is a single-screen, affordable firearms training simulator. 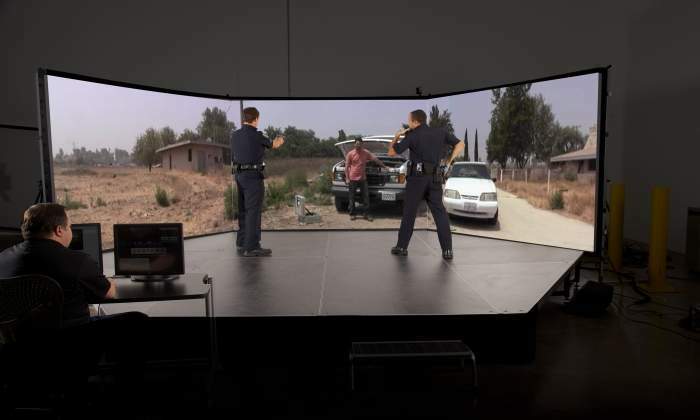 The extensive library of realistic training scenarios can support the entire use of force continuum from verbal skills, less than lethal options such as TASER® and pepperball to lethal force. The system fully supports marksmanship and skill building from basic to advance. The V-180™ is the higher standard for decision-making simulation and tactical firearms training. 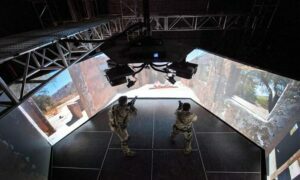 Three screens and an 180° immersive training environment ensures that simulatoions develop realistic survival skills. The system reconfigures to support nine lanes of individual firing lanes. The V-Author™ comes in two software packages of scenarios customised to the client’s needs. Regardless of the package, custom scenarios will be within minutes away from reality. VirTra has spent several years developing this software to enable clients to create any necessary scenario. VirTra invented the Threat-Fire™ with the aim to revolutionise firearms simulation training. Since 1993, the company has set the standard for exceptional firearms training simulators and offers a variety of simulator platforms, gas-powered recoil kits and a patented simulated hostile return fire system. 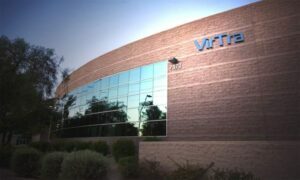 VirTra provides products and training content to worldwide military, security, law enforcement and post-secondary education agencies. 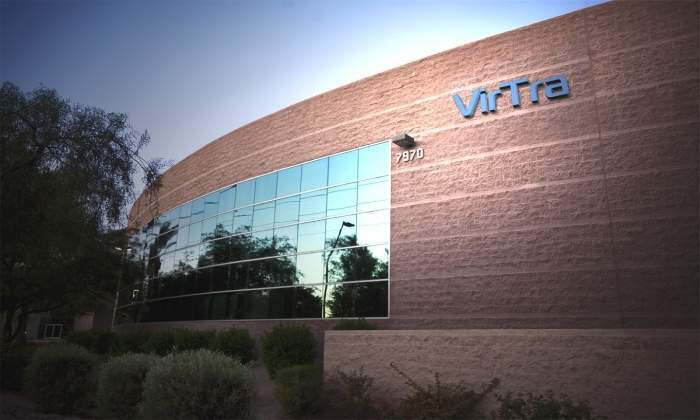 The company is led by chairman and CEO Bob Ferris from its offices in Tempe, Arizona. Ferris attended the US Air Force Academy and acquired a Systems Engineering degree and a minor in Software from the University of Arizona. Both experiences inspired him to create a new generation of more realistic and effective simulators for use of force training. The V-300™ is the higher standard for decision-making simulation and tactical firearms training.